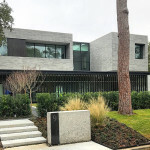 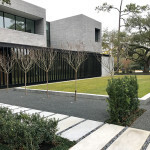 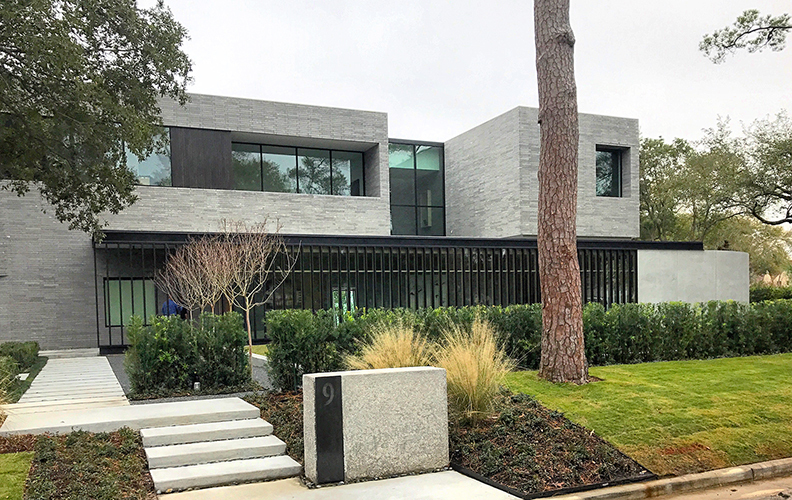 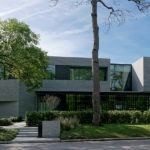 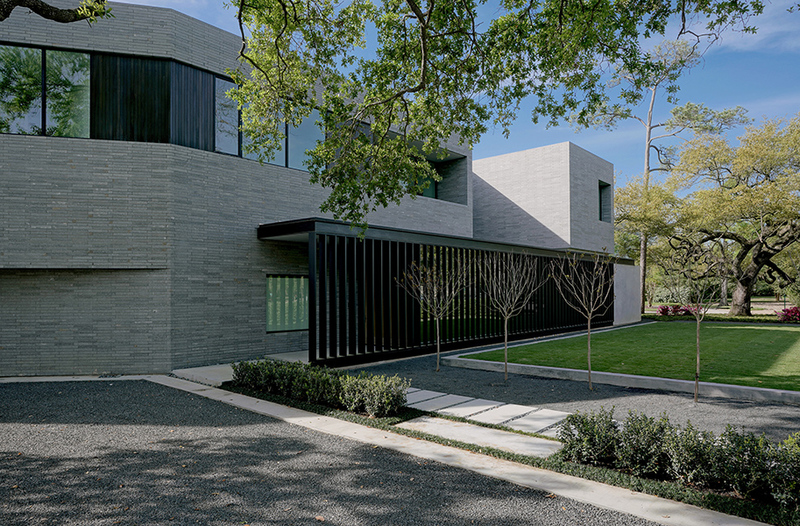 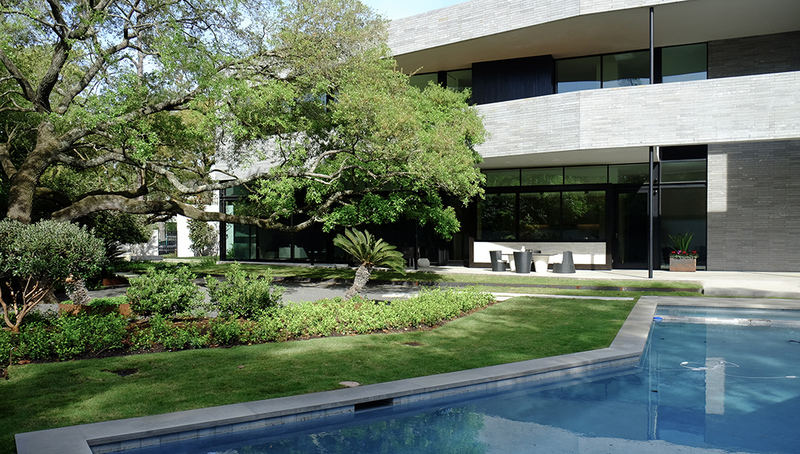 Set on a wide pie-shaped parcel, this 6000 square foot home was designed to maximize usable outdoor spaces, to emphasize the connection to those spaces, and to highlight the two amazing Live Oaks on the property. 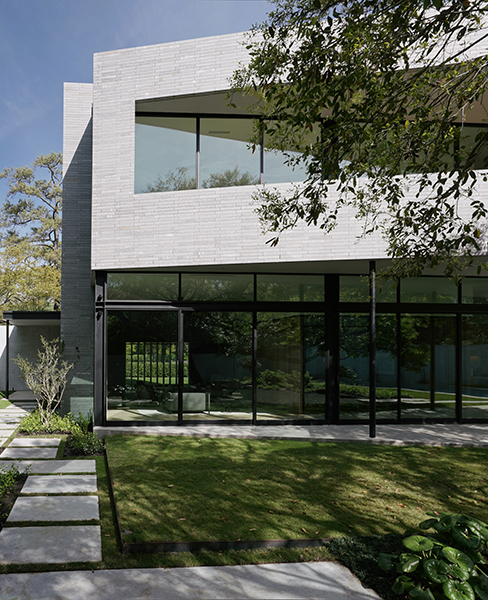 In short, this building’s raison d’être is to facilitate outdoor living. 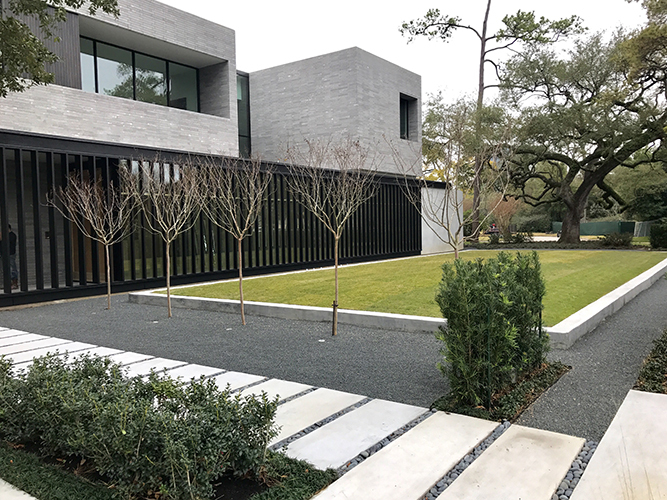 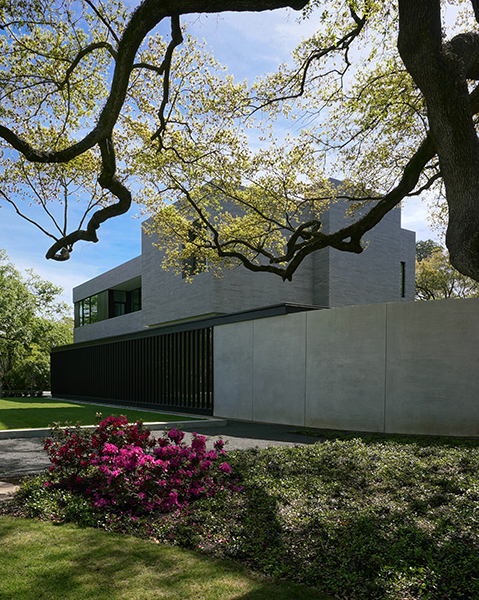 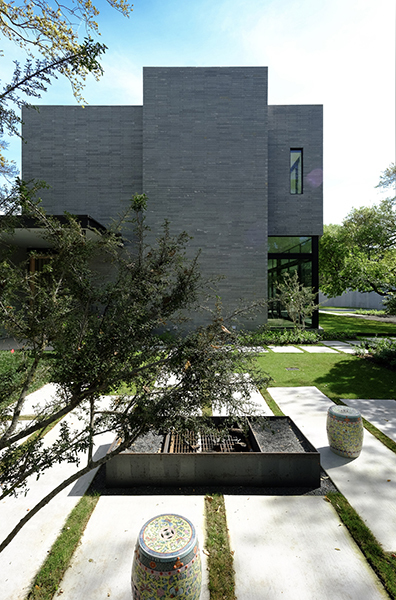 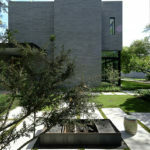 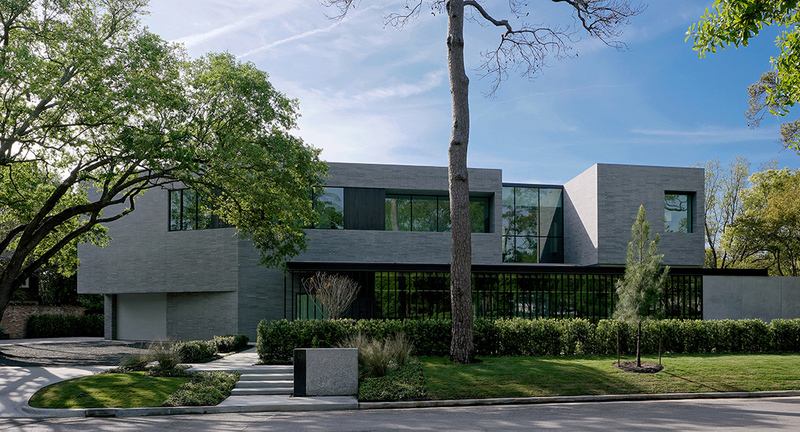 The building’s footprint was derived from the curving front setback line and from the client’s brief to create as large of a rear yard as possible. 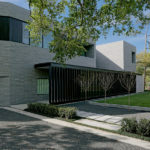 (The kink at the garage and the curved wall at the right side of the building are the direct result of the setback line.) 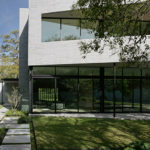 The side facing front door opens on to an overly generous entry hall that serves as overflow gathering space during large events. 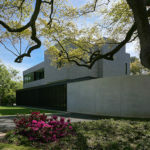 The rear of the house has continuous covered porches on both the first and second floors that most spaces open on to.